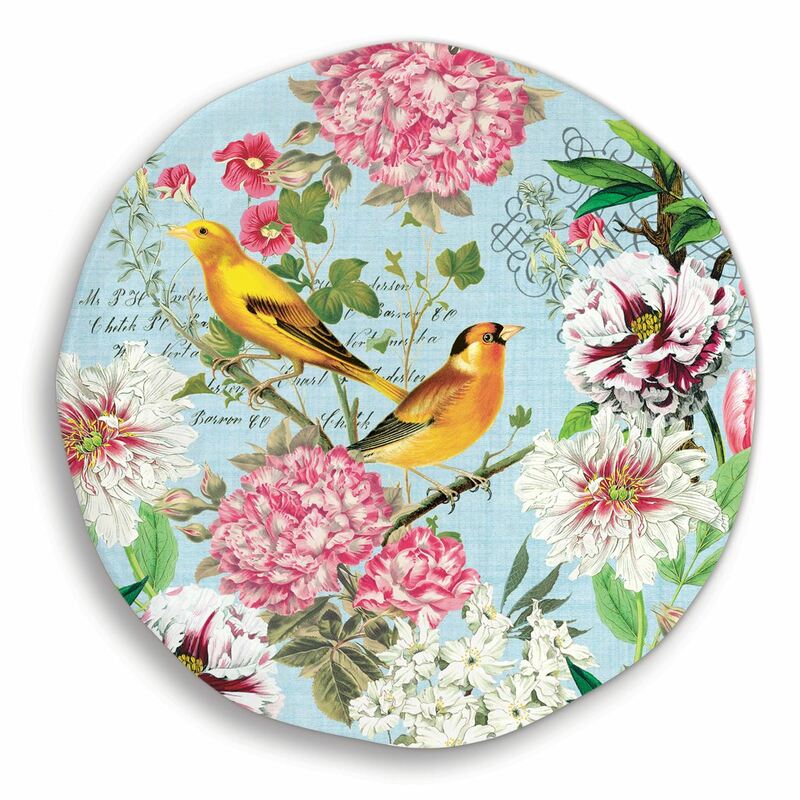 Garden Melody Large Round Serveware Platter Shop the largest selection of Michel Design Works large round serveware platters - Garden Melody Collection. Plus free ground shipping on orders over $50. Fill this dramatic melamine serveware platter with lobsters, food from the grill, or an array of cupcakes and cookies. It is also gorgeous as a centerpiece or wall decor. Approximate size: 18" x 1.25" / 45.7 cm x 3.2 cm.